The last few weeks we’ve experienced some of the lowest tides I have seen fishing around Pawleys Island and DeBordieu creeks. Moon phases coupled with steady winds from the West has made for some extremely shallow conditions. With all the feeder and secondary creeks dry we’ve had some epic sight fishing on our early morning charters. 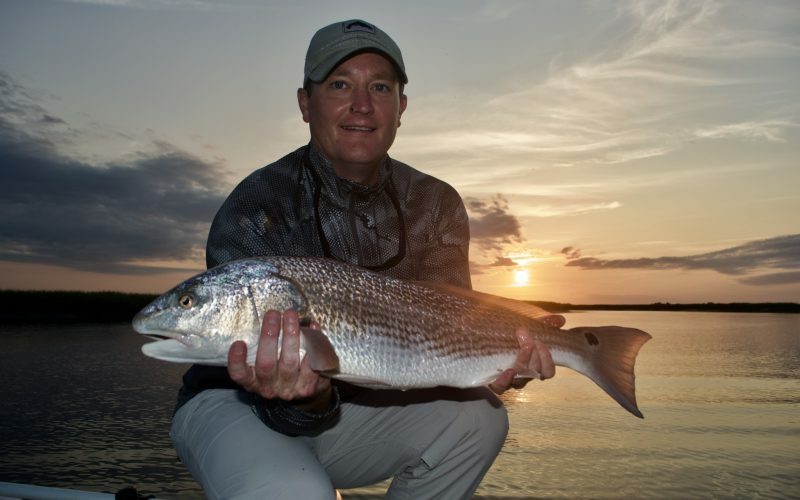 Large Schools of Redfish and Black Drum piled up at creek mouths feeding and tailing on shallow water flats. 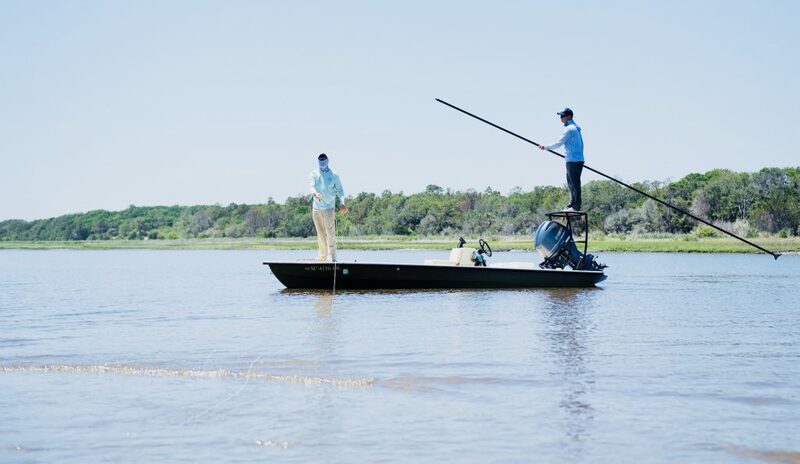 Silently poling the boat is key on getting in close for the angler to present a cast. 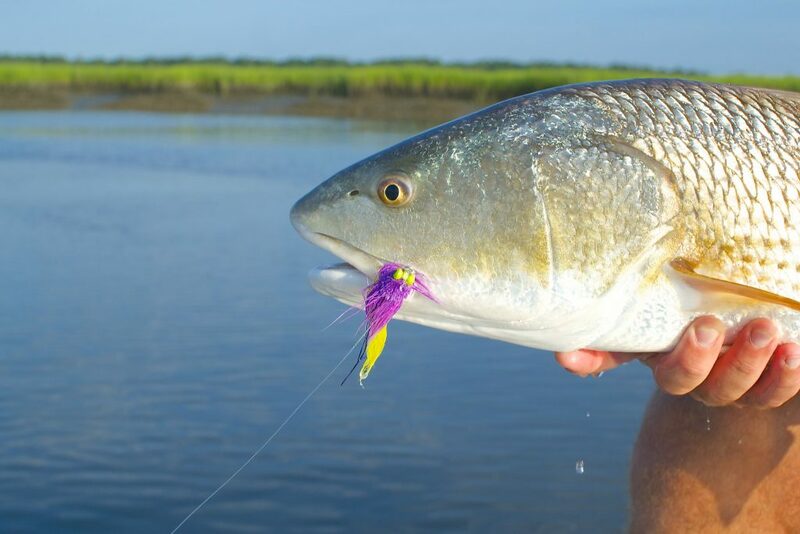 I feel sight casting to tailing or schooling Redfish is the most exciting way to fish an there’s no better way to spend a summer morning! The Flounder Fishing has been fantastic! Working deep pocket water and rock jetties with live finger mullet. 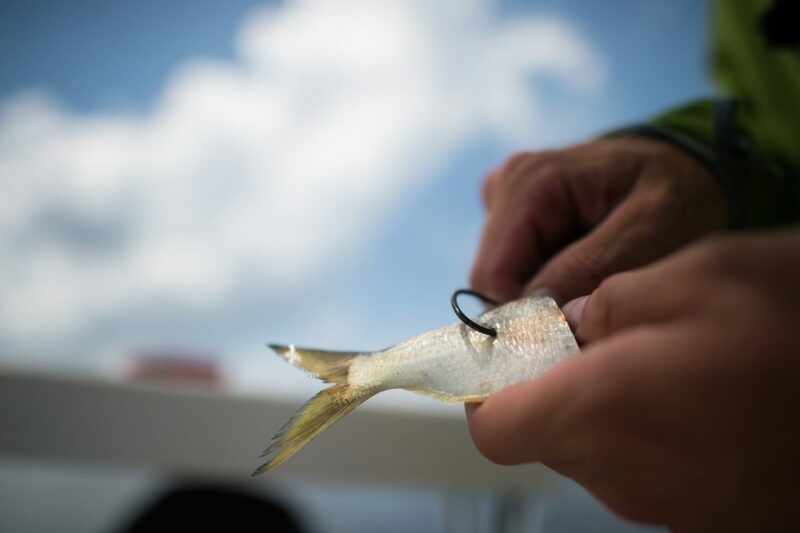 Slow trolling and light tackle spin casting is usually the most productive way to flounder fish. Places like Pawleys Creek have been the hot spots for big flounder and other seasonal visitors like lady fish and sharks. On Summer Fishing Charters we focus around inlets, creeks and bays. I prefer areas with lots of oysters. The oysters filter the water and create a natural feeding zone for marine life and Inshore Game Fish. These areas will be most productive as the shrimp and mullet pour in with rising tides and cooler water. 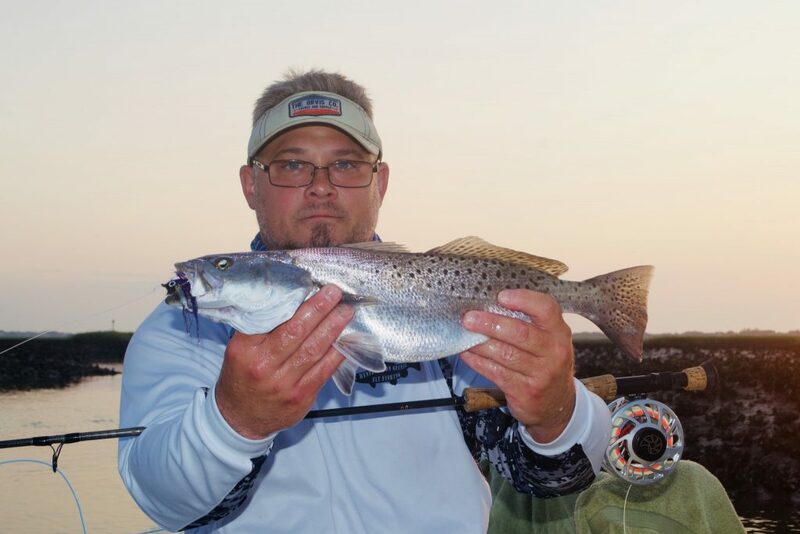 Heading into September most fish especially Speckled Sea Trout will key in on live shrimp. Shrimp is best fished along shorelines and over oyster rakes with a slip or popping cork. As we head into September. Bull Drum and Tarpon fishing will be in full swing. 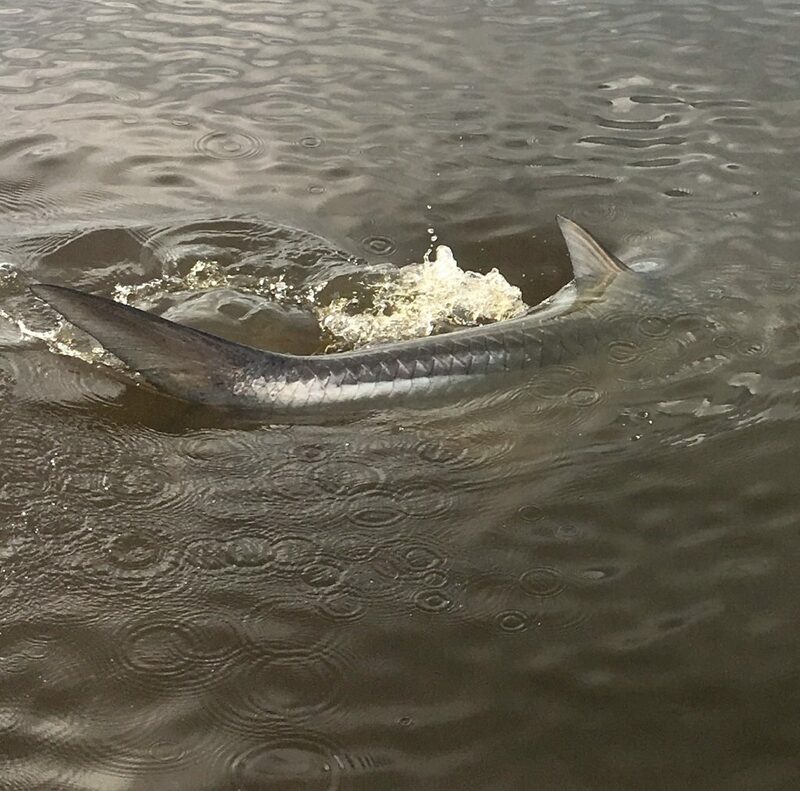 These big migratory fish move inshore to feed and spawn. They can be found ocean side feeding around bars or along the jetty rocks. 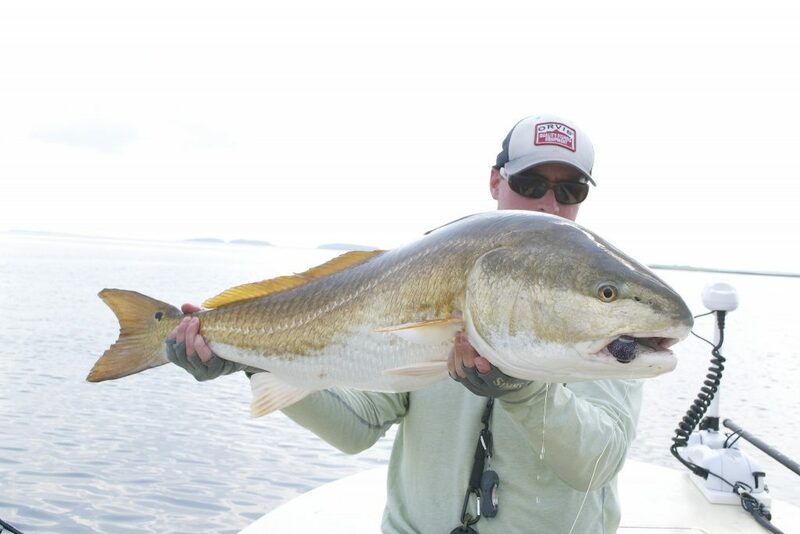 Casting heavy spinning tackle with large soft plasics or pitching live baits can be very productive for big Red Drum and Tarpon. I still have a few open days for September and October. 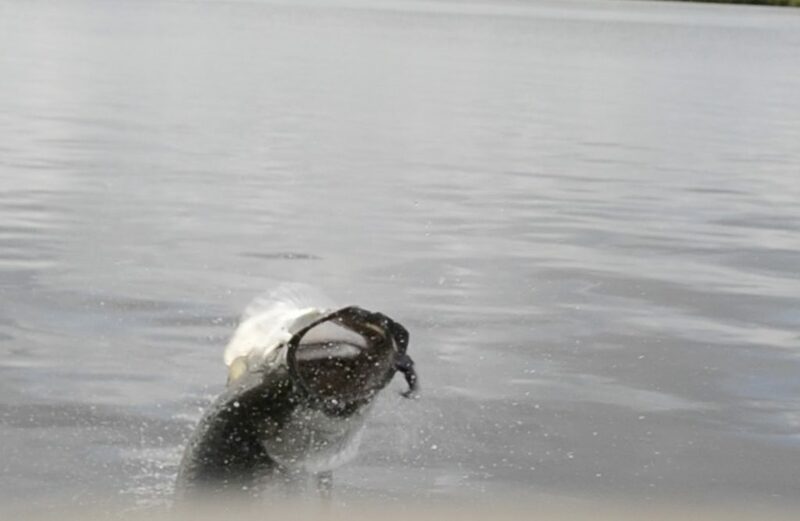 Give me a call and lets hit the water!